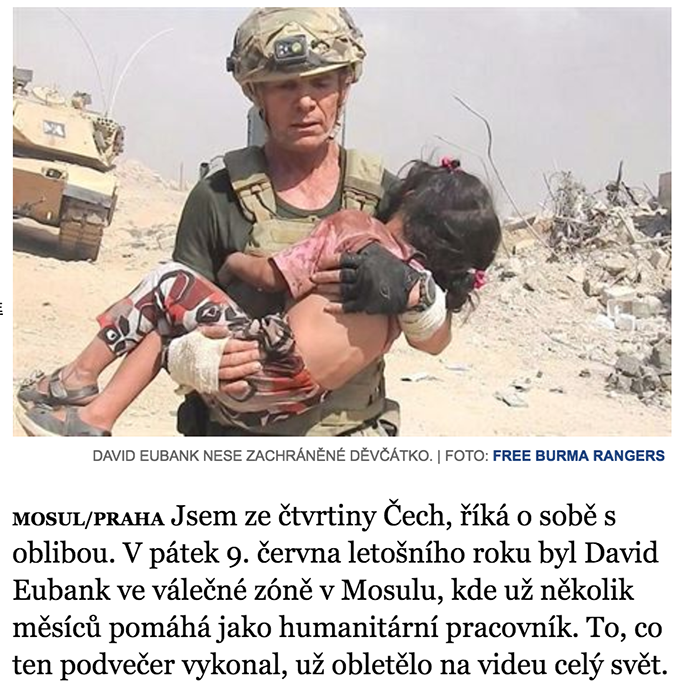 David Eubank and the Free Burma Rangers were feature in two different Czech news sites, available here and here. The video features FBR around the 22-minute mark. An addition print article is available at the link below.